Boswellia‚ also commonly known as Indian Frankincense‚ is a botanical ingredient often featured in traditional Ayurvedic medicine‚ the traditional medicine of India. 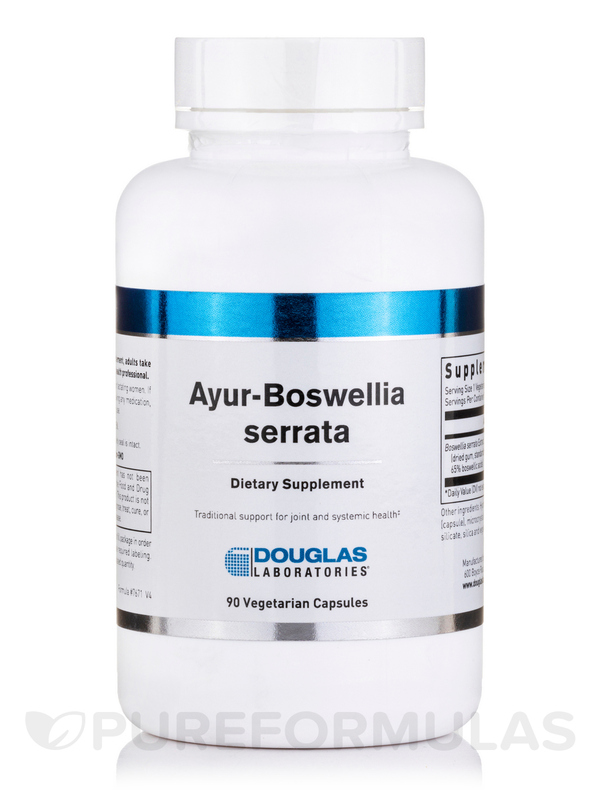 Douglas Labs has formulated Ayur-Boswellia Serrata Capsules to bring you the potential benefits of this well-utilized plant. 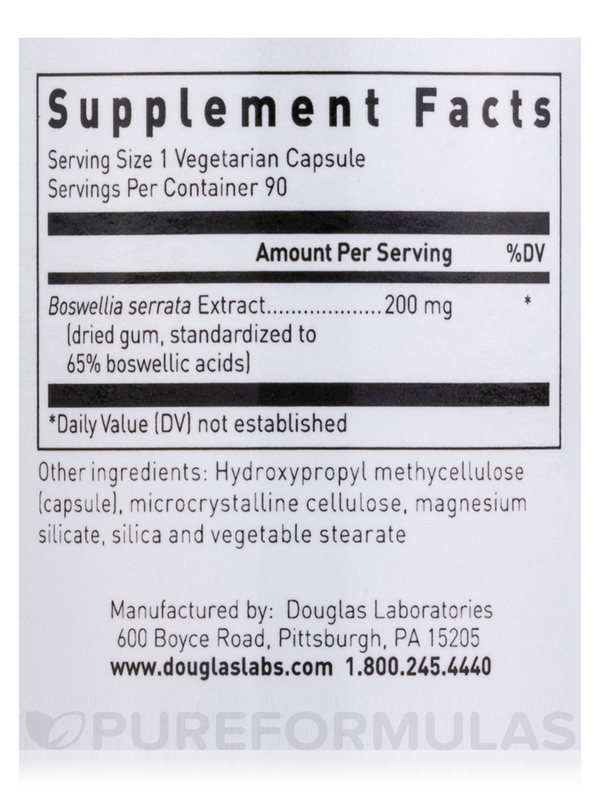 Traditionally‚ the botanical ingredient in Douglas Labs' Ayur-Boswellia Serrata Capsules has been utilized to help alleviate some symptoms and discomfort often associated with joint conditions. This effect may in fact be possible due the proposed notion that Boswellia Capsules may exhibit some anti-inflammatory effects on the body. This could then decrease uncomfortable swelling located in certain joints; in addition‚ some studies and individual experiences have also suggested that boswellia may increase blood flow to joints‚ which could possibly support cartilage health. By potentially alleviating joint pain and discomfort‚ Ayur-Boswellia Serrata Capsules may promote mobility in those who found it difficult to move from these joint issues. This botanical may also help alleviate some pain and/or discomfort experienced in the abdominal region. 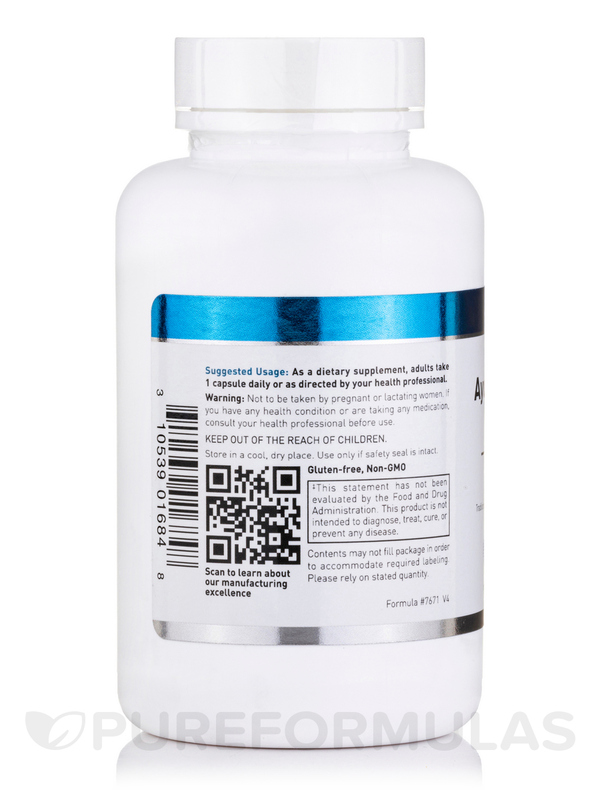 The boswellia in Ayur-Boswellia Serrata Capsules has also been suggested by some studies and research to specifically affect inflammation in the colon. It may also be able to promote urine flow. If you think your health and wellness may benefit from taking Ayur-Boswellia Serrata Capsules‚ then consult your healthcare practitioner to see what your options are. 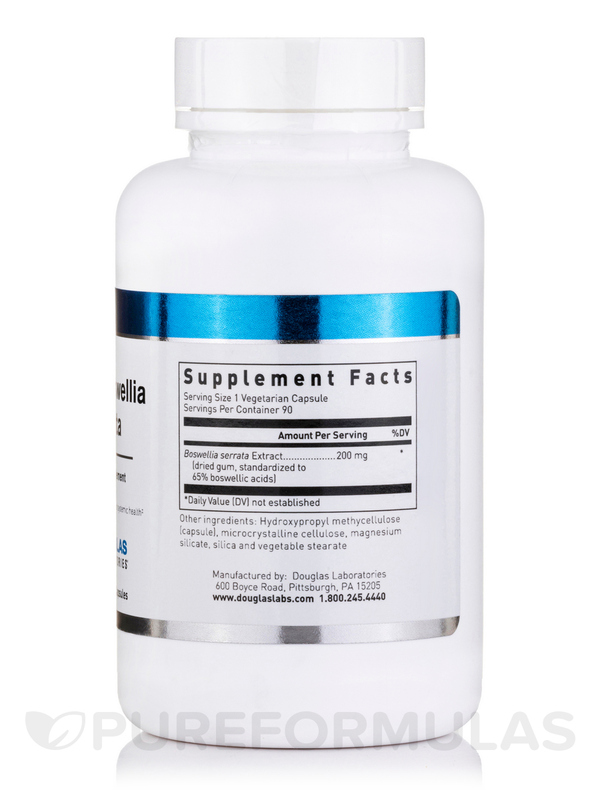 These boswellia capsules‚ along with all other supplements‚ ship free from PureFormulas.com! 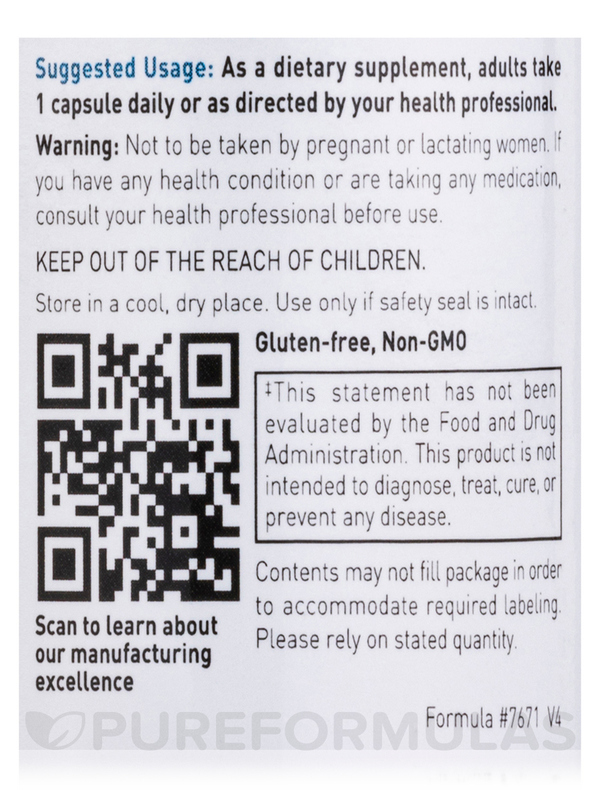 As a dietary supplement‚ adults take 1 capsule twice daily or as directed by your healthcare professional.